I was playing NBA 2k19 when the Warriors offered me Draymond Green for Jabari Parker straight up. I at first scoffed but the more I thought about it I came to the conclusion it makes sense for both teams. The Warriors get a younger scorer coming off the bench who could allow the big 3 of Curry, Durant, and Klay to sit longer as they won't be asked to carry as much of the load. Parker has proven he can score on his own and could save them 3-4 valuable minutes of rest a game. The Bulls get the veteran I think we need who is only under contract one more year after this who can help show the younger players what needs to happen to be a championship team and be that team voice everyone would respect and listen to along with being a better two way player that fits under Boylen's system. Sam: Nice of you to want a Merry Christmas for the Bulls. It’s also why I don’t play video games or consult analytics too much. Draymond is so valuable to the Warriors that he’s still to blame for them losing that one title to LeBron for getting himself suspended. Jabari Parker is a very skilled scorer, but with a potentially expiring contract because of the unguaranteed year, his two ACL surgeries and the banishment with the Bulls which is not totally his fault, his value is awfully limited. For an All-Star? How nice of you. Because the Bulls don’t want to take back money beyond this season and mess up their free agency possibilities, it’s not an easy deal to make. And teams aren’t giving up that ability to get off contracts so quickly. I’d be surprised if the Bulls could get a high level, future rotation player for Parker. But thanks for the holiday spirit for the Bulls It’s been a tough month. I sympathize with Jabari Parker even though I understand Coach Boylen's decision to bench him. He is a true Chicagoan and he seems to be a truly good person off the court. If you were coach, do you see him having a role in this team? If not, in which team do you see him having a good fit? Sam: I believe there is interest, but as it happens in the NBA given the circumstances I explained, I’m sure teams are trying to get him for little or nothing. So the Bulls probably will hold out some. Things do change in the NBA, after all. With a buyout, I’m sure several teams would be interested, though I also thought Carmelo Anthony would be playing by now. The legend of Jabari as a Bulls has been a curious one. It’s seemed like he’s been unable to forget he’s not longer the start he once was, an unprecedented four-time state champion, Duke wunderkind and No. 2 overall NBA pick. That’s generally the path of major stardom. Two serious knee surgeries isn’t his fault, but it does change your life. I could understand the interest. Sometimes it takes top five picks several teams to develop. It took Chauncey Billups five. The Bulls figured maybe it could have been them as Parker does seem healthy and recovered. Jabari has seemed to be community oriented, but he came to the Bulls with a curious edge. I can’t remember seeing someone so angry at their introductory media conference after being signed. Then he immediately reverted to often rude one-word answers to simple and harmless media questions in a way I’d only seen before with Tyrus Thomas. Rarely have so many local media members just simply stopped talking to a player because he was so detached. He doesn’t appear to be a bad guy; more an eccentric loner. Not that any of his behavior with media would have changed his plight. Boylen came in with a mandate for a more physical, defensive tenor, that which he believed; and Parker had been everything but that. LaVine isn’t a top defender, but he tries and does make things happen at times with steals and deflections. Parker didn’t very much. Then he seemed to brood about coming off the bench, and I’m guessing Boylen just decided he’s not dealing with that. And so apparently ends the Chicago Adventures of Jabari. 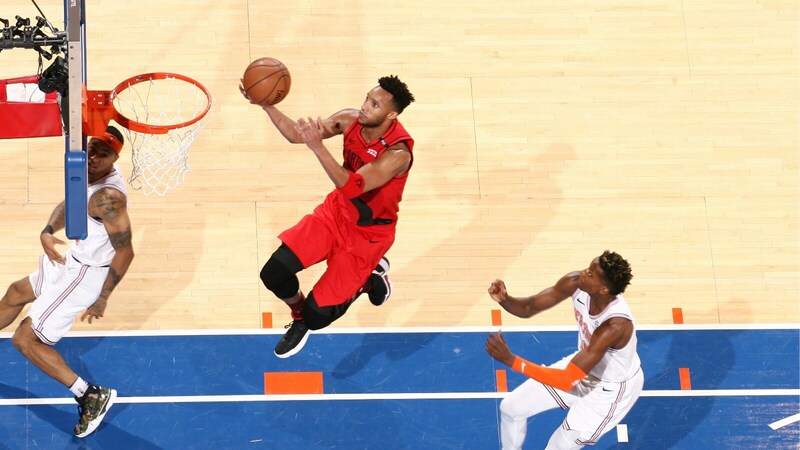 Proposed Bulls / Portland trade is Parker for Evan Turner. Portland needs & obtains a power forward for bench scoring & somewhat replaces Turner’s 2nd team ball handling. Bulls need & obtain a quality G/F wing player that can defend and handle the ball. Salaries match up though Bulls now have 2019/2020 Turner commitment...but unlikely to pursue or pay for top free agents so need to spend. What are your thoughts? Sam: It is trade season. Bring it! 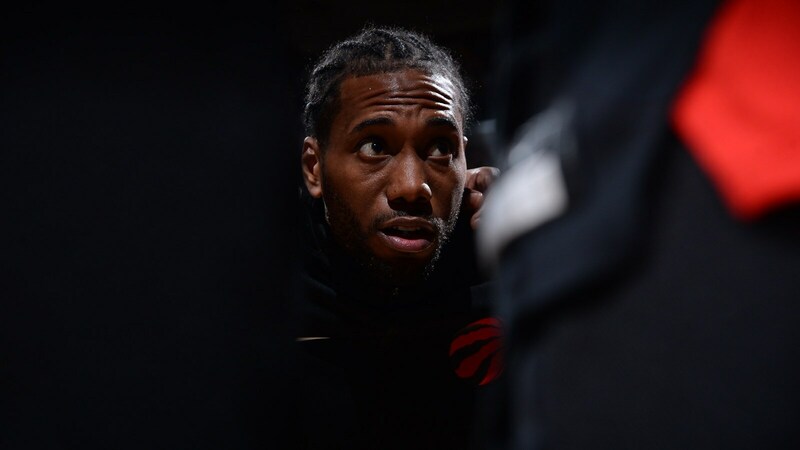 I don’t agree with the long held contention the Bulls cannot get free agents; like most everyone else who wants them, they’re just not likely to get the guys who move the needle, this summer being perhaps Kevin Durant and Kawhi Leonard. And it has nothing to do with coaching changes or the management. After all, the Knicks change management all the time and no one goes there. The Bulls, as I have noted before, have gotten elite free agents several years. They just weren’t whom everyone wanted. Carlos Boozer was an All-Star and Olympic team member who led his team to the conference finals, Ben Wallace was a four-time Defensive Player of the Year who led his team to a title, Pau Gasol was a two-time champion. They all chose the Bulls over many suitors. 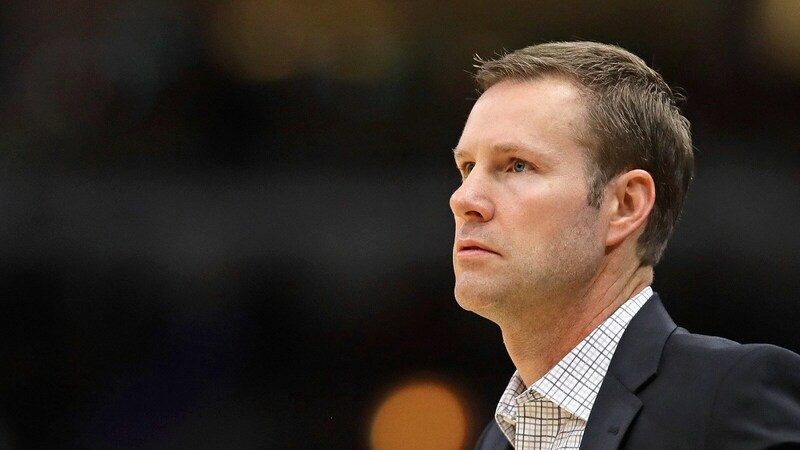 I’m confident, especially with a pretty good young core of players, the Bulls this summer will be a destination for a free agent who is good and perhaps not named Kawhi, Kyrie or Kevin. They just have destinations in mind. They’re not going to New York, Miami, or Houston, either. Evan’s a nice role player, one of the worst three point shooters in the league and hardly worth giving up a shot at a free agent this summer. Still got to try. 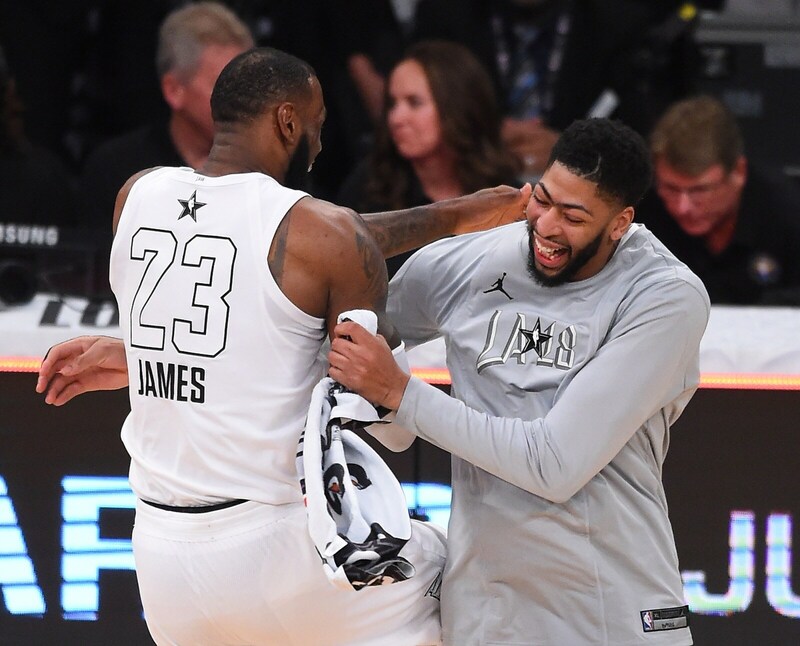 Is LeBron saying it would be incredible if they traded for Anthony Davis ok with the NBA? That is extreme tampering. How do you think Pelican fans feel? I feel he should be fined. Sam: The NBA will be checking with LeBron to find out what it should be doing about it. Of course it’s “tampering” in the informal sense that the NBA defines the term and treatment, which basically is for teams and coaches not to admit they know the names of players on other teams. Since the LeBron/Wade/Bosh conspiracy of 2010 with the Olympic team recruitments, the NBA basically backed out of the player conspiracy arena on constitutional grounds. The league decided it was originalist regarding individual rights and if anyone didn’t want to pay tax on tea the commissioner was with them. But this is the NBA, which was Michael’s league—no, he wasn’t forced to retire in 1993—and now is LeBron’s, as any viewing of an ESPN “highlight” will let you know. But it also makes Anthony Davis the LeBron and KD of this season. Clearly, LeBron was ordering Magic Johnson to, Do Something Now! LeBron, by the way, basically owns the agency run by his childhood buddy that now represents Davis. Mueller looking into that? But let’s get to the basketball stuff. No, he’s not coming to Chicago. After Jabari, I think we’re pretty much done with the “great to come home” story. Davis is under contract through next season. It’s becoming apparent the Pelicans are looking, well, like pelicans, sort of ugly. Davis has been unusually loyal and supportive of the small market, but with the change to LeBron’s buddy’s agency and little playoff success, it seems he might be ready for change. Plus, the Pelicans might figure by now to get what they can since they have some pretty good players and Davis can bring them more than any player in the league. Davis may want to go to the Lakers, who have cap space this summer for a top free agent (Durant, Leonard?) and then it’s Decision Miami/2010 again. The problem is the Lakers really don’t have many young players you’d want that much. But the Boston Celtics do along with high extra draft picks (the Kings’ this season) and a readiness now to cash in. But Boston can’t trade until the summer because Kyrie Irving carries a salary cap distinction that limits having a player like Davis with him for now (it’s complicated). The Lakers presumably would part with all their young players, none of whom, it seems like, has All-Star potential like Jason Tatum does. Plus who wants those Lakers draft picks after that trade? LeBron’s recruiting campaign has just begun and he’ll let the NBA know when they can do something about it. Sam: The lottery. It’s not an unusual pattern; it just becomes more apparent when it occurs more often. If something doesn’t work, you try something else, right? In more of the Fred-worked-against-difficult-circumstances ledger, there also was what I felt was the Bulls’ less that wholehearted embrace of the new NBA. And as I recall, the fans were generally upset with the style of play toward the end of the Thibs run (Rose’s ACL may have been another problem, as I recall) with basic acclamation that the offense was too predictable, too slow, out of fashion with the new NBA and unable to keep up and compete. Fred was the embodiment of what the NBA was saying, a Warriors Light with ball and player movement, opening the court with shooting and speed to keep the defense off balance. Though the personnel he inherited wasn’t quite right, obviously, with the likes of Noah, Butler and Gasol. So in come Wade and Rondo. Which probably should have told all of us the Bulls weren’t comfortable with that style of play. So it seems they’ve again admitted that to themselves with Boylen, trying to emphasize playing through the post, which was a Phil Jackson/Tex Winter tenet, to being prepared to get back on defense and be dobermans as Johnny Bach suggested. John Paxson’s top two hires were Scott Skiles and Thibodeau, both defensive minded, intelligent veteran coaches with a defensive oriented plan built around physical play. Both worked well..until they didn’t. So I still believe the Bulls have some philosophical sorting out to do. In Boylen, they seem to have the character of coach they want. But with injuries, there’s been no way to integrate a system of play with the personnel. I’m as interested as anyone to see how that develops because they do have some excellent talent. Would be interested in your take on Spencer Dinwiddie. What Bulls saw in him to take a closer look? What they saw and what was happening at the time so that they let him go? Key to his apparent current success. Sam: I know this is another convenient second guess given his team high points in Wednesday’s Nets win. Though Dinwiddie still is a sixth man on a team with a losing record. The Bulls did a good job keeping an eye on a once higher level talent, but then injured player from college who made the curious decision to enter the draft a year early just when he tore his ACL. Dinwiddie slipped to the second round of the draft and couldn’t make much headway to get playing time a bad Pistons team. So the Bulls took a look for Cameron Bairstow, who they weren’t keeping, a nice trade. I liked Dinwiddie for his size and shooting and was favorable about him even after the Bulls dropped him, dropping by Windy City for his opener there. The Bulls weren’t that impressed as Dinwiddie still wasn’t fully recovered. It takes much longer to come back from ACL surgery than the physicians in the Chicago media realize. Then the Bulls got Michael Carter-Williams for Tony Snell, which I thought was a great deal given Carter-Williams was a top lottery pick. Worth a shot. So there wasn’t room for Dinwiddie. 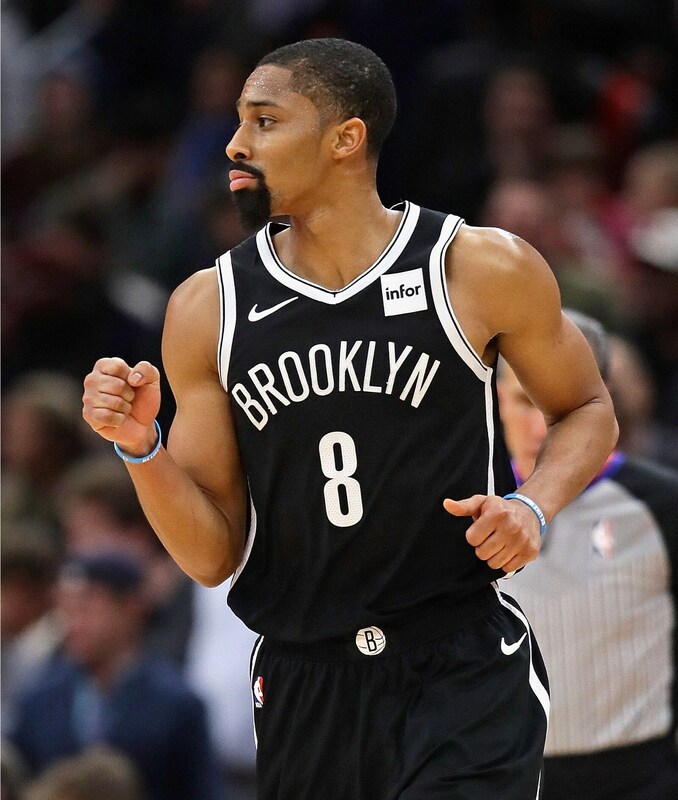 Remember, every NBA team could have signed Dinwiddie from Windy City and none did for a month until the Nets with the league’s worst roster brought him for the bottom of their bench. It’s to his credit he remade himself. Good for him. He’s an NBA rotation player. The Bulls likely still would be 7-25 with him. As of 12/19 the Bulls are tied for the worst record in the league. Yes there have been injuries but when might we expect to see some type of growth/development as a team? To wait until next season is simply unacceptable. Sam: I know no one likes hearing it, but if in two seasons the core of Jordan, Grant and Pippen had played 14 games the Bulls would be on a 25 to 30-win pace. Which they actually were in Jordan’s second year when he missed three quarters of the season injured. 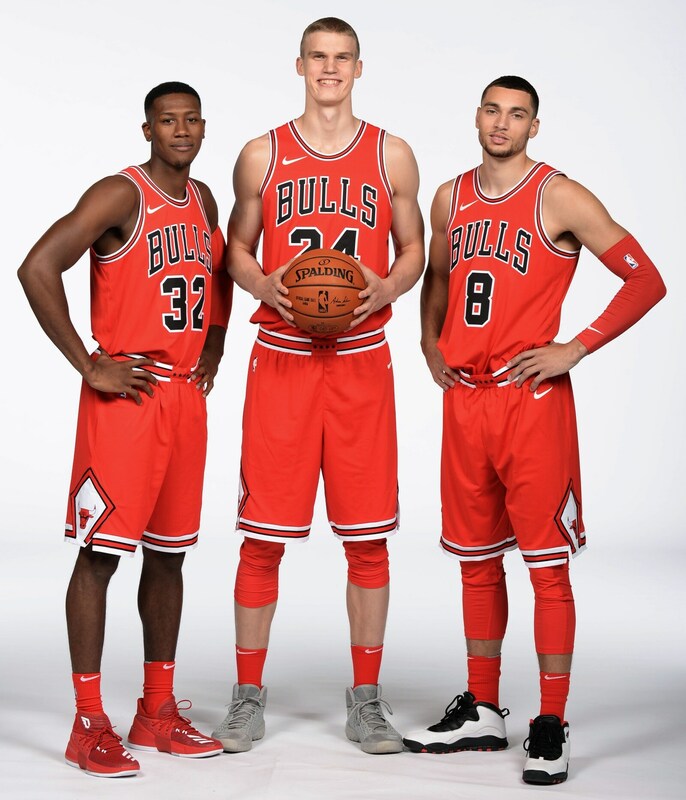 Dunn, Markkanen and LaVine have played 14 games—and not full games—together. But since the beginning of last season, Dunn, Markkanen and LaVine all are much better players. 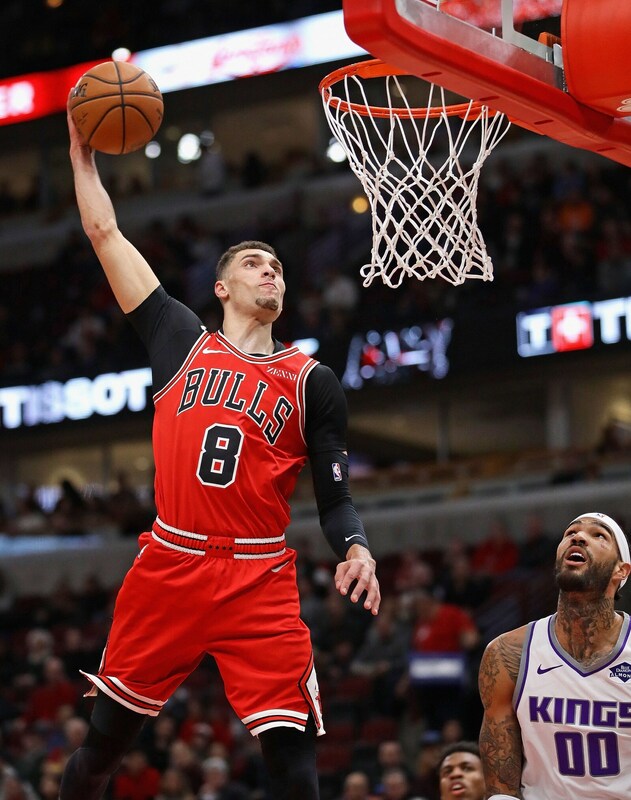 LaVine and Dunn are playing the best they have in their careers, at least when they play, and Markkanen has impressed around the NBA as one of those “way better than we thought” players. Bobby Portis is much improved, and who ever thought they’d have to worry about pronouncing Arcidiacono in the NBA? There’s been plenty of individual growth. Team growth is unachievable when a team never once has its main players on the court the same time. 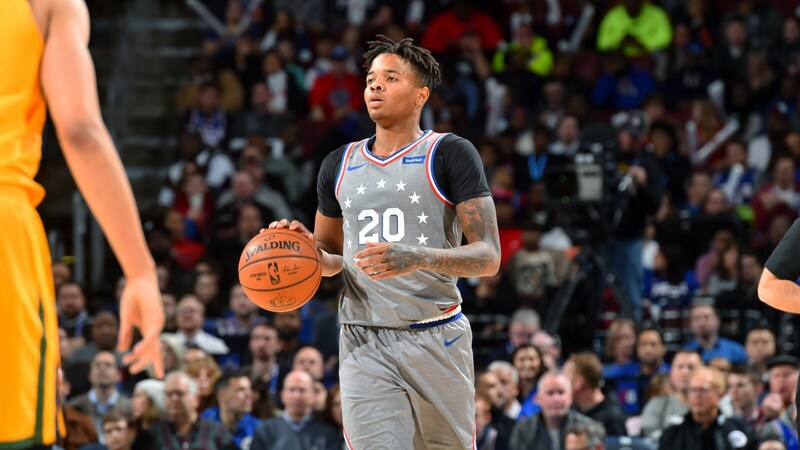 Do you think the Bulls would have interest in Markelle Fultz, and should they, or is his shot beyond repair? Sam: I was thinking of Fultz the other day watching the Carolina NFL game. I watch some other stuff, but it was one of those things where it’s like you see a accident about to happen and you’re yelling and pointing for someone to do something and no one is responding. Could you be hallucinating? They kept saying on TV the quarterback had a shoulder problem, and it was painfully obvious he couldn’t extend his arm and throw. And no one seemed to think it was that big a deal; even in the post game questions. I read he’s not playing this week, but maybe next week. Why I thought of Fultz was the way he obviously tried to compensate for his shoulder injury as the let him play and it changed the way he shoots. He’s a long term rehab project—probably both mentally and physically—and the 76ers still are looking for a high No. 1 pick in return. I’d pass for where the Bulls are, especially with a commitment to give Kris Dunn a chance to claim that job, and I’d get some lawyers if I were that Carolina quarterback. I know you’ve written about this, even after Wednesday’s game, but not getting Markkanen the ball is becoming odd. Last night, 6 shots when he has made 50% overall and 66% from deep, what is going on? I am wondering whether or not I’m missing something. Is Markkanen too passive? Maybe he is not demanding the ball strong enough. Could he not want to take shots? Is he in danger of (gulp) being labeled Euro soft? I don’t believe this but then the coaches must not see it or the other players think they’re better. Hard to imagine that on a 7-25 team. I understand that the other team is scheming him. So what, happens every night. Maybe their schemers are better than our schemers. It just seems so perplexing and downright odd. Unless he is Euro soft but this is not the 80’s. Sam: No, he’s not soft. I infamously asked him that at his first media conference with the Bulls and I think I heard him call me siskonmakkarakeitto. I was less upset when I found out it was soup. Lauri isn’t the delicate type we generally mischaracterized with our sometimes overbearing American conceit about international players. What we discovered was they were as tough given all they went through and the way they played in the post. Anyway, it’s not much a talking point anymore, especially when, like with the national teams, the American players complain about pillow softness and the international players sleep in bunk beds. 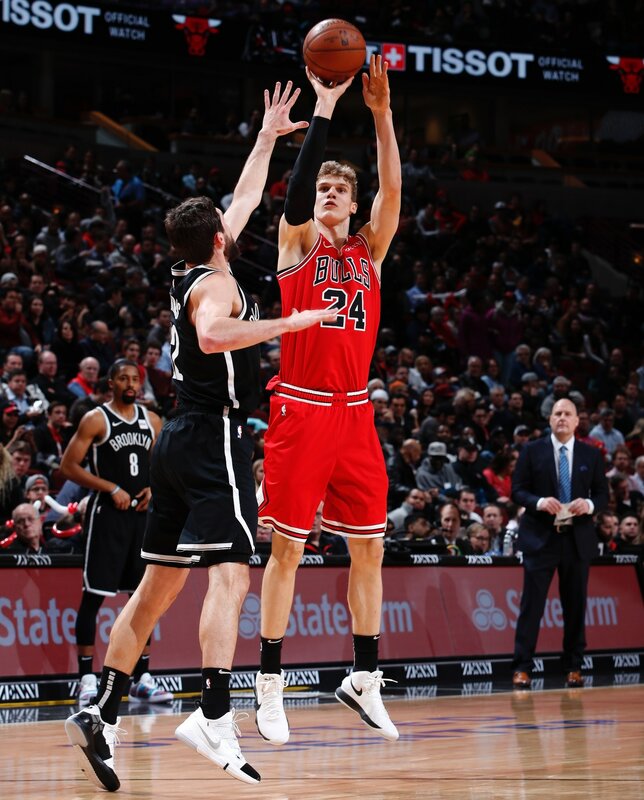 “Oh, don’t touch me, I’m shooting a three!” That’s the disappointing part with Markkanen for now because he is good with contact and, if you’ll notice, has been the best on the team lately getting his own shot off the board and following. Which is another problem. He has had to take a hard shot and get the ball himself. He’s not being ignored my teammates, but it’s a new coach, and a coach who is defensive oriented with a mandate for more defensive play who didn’t have a training camp, and is just getting injured players back and who is trying to play through the post while slowing the game to compensate for the players injured to keep the score close to have a better chance late. With a mixture of players who haven’t played together, and, what Lauri got just six shots! You see Bulls players make handoffs or passes to guys going the other way with a “my bad,” and it’s nobody’s bad. All this takes time and timing and if you also have to do pushups there’s only time for so much. Give it some time. Boylen does seem to try to respond quickly to issues. I’m sure they’ll be looking for Markkanen more Friday. I’m predicting 24 shot attempts for him against the Magic. But he also needs more threats on the court given no one is much coming out to defend the guards with LaVine out. Current (minor) injury aside, I think we should be looking to trade Portis. 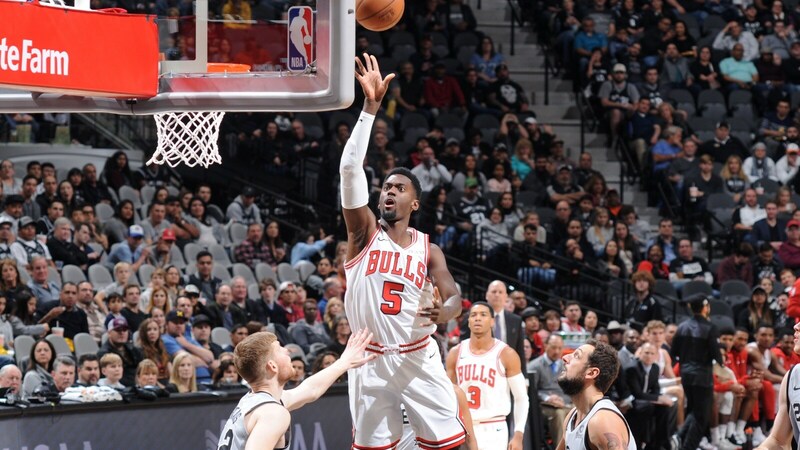 I love Carter but he is showing that the state of the Bulls union is that we have a promising, defense-first 4 in Carter and a position need at Center (Lopez is a back-up at this point in his career). That leaves us with holes/need-significant-improvement at the 3 and the 5. Problem is that it will be difficult to bundle Portis and Parker in a trade because they play the same position though Parker as a starter backed up by Portis isn't a bad upgrade for a team with a hole at 4. What do you think the best case scenario would be for a Parker/Portis trade? Sam: Could they play with Mirotic? It’s a very tough break again for Bobby, who has to be asking himself about passing on that extension. But he has improved and shown himself to be a potential double/double player, so he’ll be OK. He’ll get paid. The Carter conundrum is an issue the Bulls will have to consider. He’s good, and going to be gooder. We’re just talking informally here, right? But he won’t be bigger. So should he be more the Elton Brand power forward type? The Bulls have a power forward, a potential star one in Markkanen. and isn’t Carter always likened to Al Horford, who does pretty well despite being overmatched by bigger guys? I’m not worried that much. Carter is just 19. He’ll get more assured and not be so hesitant to shoot. Bobby’s ready to be paid, so there’s not a big market other than as a restricted free agent, and the Bulls can match. He’s a potential Sixth Man type player, and for now I like him fine as a Bull. I'm surprised someone hasn't started the rumor that Boylen was Kawhi Leonard's favorite coach when he was on the Spurs and because of that he wants to sign with the Bulls in the off season. Sam: You know, I read somewhere that when Boylen was with the Spurs he was Leonard’s favorite coach. Can’t recall where I read that, though. I’ll get back to you. So the obvious question is do they risk messing up the chemistry of this juggernaut squad by bringing Zach back when he’s ready or do they hold him out a little longer? Or maybe he comes off the bench to start? Mostly kidding of course. But seriously hope it is just coincidence and not causal that we have seen the best of LaVine when Dunn is out and the best of Dunn when LaVine is out. Kinda reminds you of when Iverson and Stackhouse couldn’t coexist in philly back in 1996? No? Sam: Break up the Bulls? I almost can’t believe I am saying this—and I want it quietly between us—but it may be time to, well, not win very many games Sherman style. I still can’t use the military description. I ranted against this repeatedly last season because of the high moral plain I was standing on. But things have changed. Last year there wasn’t a core yet, so there really wasn’t much to watch. Mirotic still was on the way out and Zach was working his way back, albeit briefly. He should return in a week or two, Portis again after that. Dunn was in and out with Grant still here, so really, still the formation. Now there is a young core who look like they’ll be here. So play them: LaVine, Markkanen, Dunn, Carter and Chandler Hutchison. Take your losses. Trade the veterans for whatever you can, and this year the three poorest records have the same odds for the top pick; fourth and fifth have just a bit less. So get one more good young player, and it sure looks like there are a bunch of good wing players coming into the NBA. Get one of those and the team seems a lot more appealing to a free agent and some veterans. Free agency isn’t going to be easy with both New York teams and both LA teams having cap space for at least one and some two free agents. This may not be as far way as it’s looked, but it might just take not breaking down the misplays too much for the next few months. Remember, that’s between us. And thanks for the Stackhouse/Iverson reference, which remains one of my favorite stories because it was their posse (they called them that than, so get off Phil Jackson’s back) that got into a fight about which one was better and which one should stay. Now that’s what you really call old school. 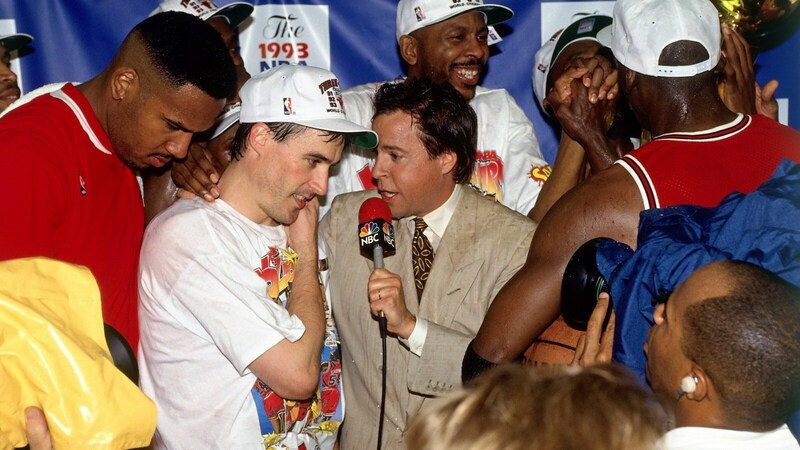 I don’t really want to talk about this season anymore, so I’m going to ask you about something I’m really interested in and something you don’t mind re hashing: 93 Finals v Phoenix, Paxson hit that huge 3. From memory, inbounds to Michael who brought it up, off load to Scottie then to Horace which left Pax open. Perhaps some of our younger demographic need a reminder of what Mr. Paxson did for this franchise as a player? Sam: And not to forget those five crucial baskets in the last six minutes of the fifth game of the Finals to clinch the first championship in 1991, earlier holding off a half dozen potential replacements in the 1980s to become the backcourt mate with whom Michael Jordan felt most comfortable with in big moments against the hated Pistons, who without rancor and with professional class helped Steve Kerr take his position to enable the franchise to move forward toward three more titles and then helping nurture it on the coaching staff with Phil Jackson. Thanks, Mike Burling. To many too often forget what John Paxson has meant to Chicago’s sports legacy and the substantial contributions he’s made over decades that has led to as many sports championships as the other four major team sports franchises—Bears, Cubs, White Sox and Blackhawks—have combined in the last 50 years. Appreciation isn’t the necessary reward for those who have achieved so much for others. Happy holiday season, John Paxson.